Farm B&B and Self-catering Cottages Welcome in Lot and Garonne Farmer's House! Holiday Apartments Holiday Apartments and Aparthotels in Lot and Garonne. Wine Bars / Cheese Bars / Tapas Bars Have a drink with friends in Lot and Garonne - Our suggestions here. Restaurants "Our addresses and ""bonnes tables"" in Lot and Garonne." The Host's Table What better than a traditional home cooked meal to taste the Lot and Garonne local products? Wine cellars Our selection of wine cellars in Lot and Garonne. Wines of Lot and Garonne Cellars, Wines, Producers  Discover the History of Lot and Garonne vineyards! 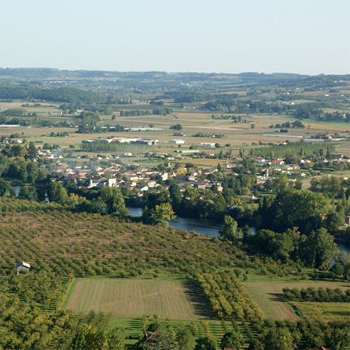 Outdoor Activities Walks and Leisure activities in Lot and Garonne. Microlight flights Your microlight flights in Lot and Garonne and in one click! Water Sports All the outdoor water sport activities in Lot and Garonne. Going out Going out and partying in Lot and Garonne. Although we are all wrapped up in our scarves and jumpers, nothing can stop us from discovering the Lot Valley. Lud'O Parc Water park for the whole family ! Z'animoland Animal Park & ​​Amusement Park! Grottes de Fontirou Wonderful journey to the heart of the earth!